Indian automobile market is having many two wheeler maker companies. There are few two wheeler companies are providing world class bike. Honda is one of the Japan based company which has launched many bikes in Indian market. Honda is providing Japanese technology in its bike. The company has launched a brilliant features loaded new sporty bike in India and that is HONDA CBR 250R. The Honda CBR 250R Bike in India is already available. The company has declared the Honda CBR 250R price in India to be between 1.43 Lac and 1.68 Lac. The Honda CBR 250R features are marvelous. The two wheeler bike is having Sporty look. The Honda Company is providing this bike with 249.6cc with single cylinder. The bike engine is having Four-Stroke technology. Power capacity of this model is provide Maximum power 26 Bhp @ 8500 rpm. The Torque of this bike generates 23Nm @ 7000 rpm power. The model is having 6 gears speed capacity. The Honda CBR 250R is having three colors that are RED, Black and Silver. The Honda CBR 250R reviews are over the Internet. The Honda CBR 250R specifications are mind-blowing. The sporty look model is having 2035x720x1125 MM Dimensions, which can give stylish look for rider. Engine of this bike is enabled with 249.6cc power which can provide 25KMPL fuel consumption in City and 30KMPL fuel consumption on Highway. The bike is having 6 manual gears. Wet and Multi plate disc clutch facility is providing nice control on gears. Twin Spar type chassis is given sporty look. The bike is generating 26 Bhp@ 8500 rpm maximum power. The Torque of this bike is 23Nm @ 7000 rpm power. The Honda CBR 250R is having 4 valves per cylinders which can provide excellent power generate capacity. Fuel tank of this bike is capable to stock 13 Liters fuel. Headlamp is support 12V 60/55 W power. The bike is having 6Ah powered battery. The bike is having 110/70 17M/C – 140/70 17M/C mm Alloys type wheels which can provide perfect balance on the Road. Honda CBR 250R is having 167 kg of weight that can give smooth derive facility. The bike is having 296mm front disc brake and 220 mm rear disc break. Front suspension is having Telescopic Fork and Rear suspension is having Pro Link that is providing marvelous safety. 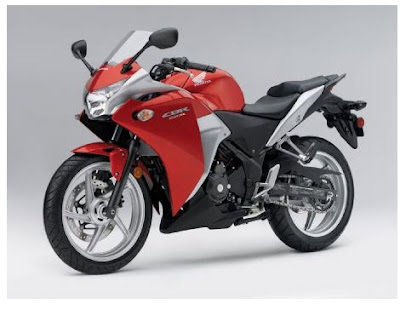 The Honda CBR 250R pictures are accessible on the Internet. The Bike is getting brilliant response from the Indian bike lover. The company is expecting a lot from the particular bike.